in Social Media with tags #roastjoffrey, #SoftSide, Barilla, Downy, Game of Thrones, GIRLS, HBO, Insights, real-time marketing, social data Both comments and trackbacks are closed. In this competitive marketplace, brands are in an ongoing race to be the consumer’s best, fastest and longest-lasting friend. But how does one build relationships in this rapid-fire, digital-infused world? The same way our great-great-great grandparents did: through listening and trust. Social media marketing and social data are about using real human behavior – e.g. conversations, Likes, dislikes and shares – to make brands much, much more relatable, and thus, closer to consumers. We’ve categorized and listed below a few key ways to use social data to make your work and brand smarter. Could that insight be proved with data? There was only one way to find out. With the help of our Insights team, we compiled a robust list of the 35 most-hated characters on television, ran a few analyses and ultimately found that Joffrey was indeed the most hated character on the Internet. In fact, he comprised more than 30 percent of the hate conversation in our competitive set— 3.5 times more hate than the second most-hated character: Walter White. 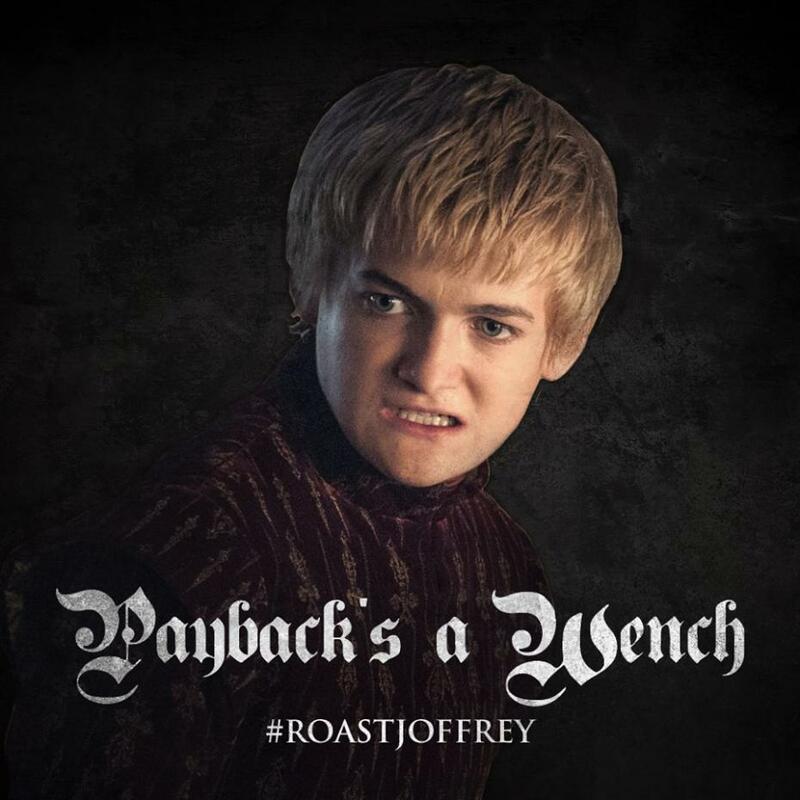 The numbers helped validate our hunch, and solidified our creative idea: #ROASTJOFFREY, the world’s first-ever social media comedy roast. By tapping into our fans’ love-to-hate online behavior, HBO and 360i were able to partner to turn this insight into a successful, fan-driven campaign. The Takeaway: Have a hunch first, and then use social data to prove or disprove it. Otherwise, you’re likely to start diving into social data and get lost in the amount of information available to you. Focusing on a direction will validate your insight and your creative, making your work stronger. ‘Twas the day after Labor Day, 2013, and just about every working American was bummed about the hard transition back to the grind. 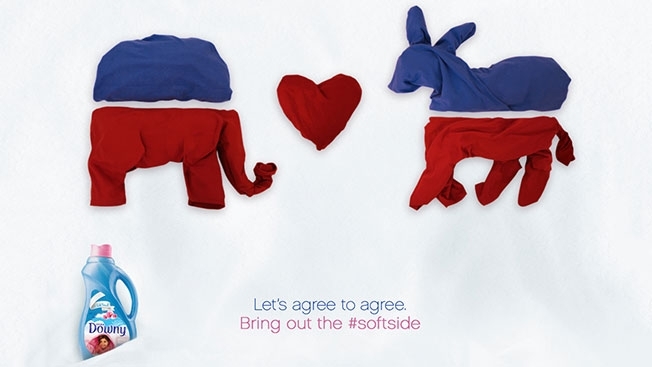 In came client Downy to soften the blow, juxtaposing its #SoftSide with the hardness of day-to-day life (e.g. high heels; politics; football rivalries; workouts) through sculptures made from Downy-soft fabric. Posted to Facebook and Twitter, the assets doubled as engaging social content, and unbeknownst to consumers were used to inform marketing decisions for Downy. Based on engagement around each #SoftSide asset, Downy featured and rotated the creative onto digital OOH billboards. In other words, Downy used real-time social data to optimize campaign performance as it unfolded. The social-driven conclusions may have been simple and straightforward, but they were also incredibly powerful as they allowed Downy to vet content in advance and invest media only for the assets that had already proven to incite a response. The Takeaway: Consider organically incorporating social fans into the vetting process. More genuine insight can be gleaned when consumer behavior is authentic. With so much data out there, it may, at times, be misleading. A human filter is imperative to think through it all. In conducting research on the “GIRLS” Twitter audience for client HBO, we set out to find which brands most closely correlate with the show’s target. Much to our surprise, the number one brand we found was …. Barilla! Why was Barilla the number one correlated brand? Our hypotheses varied – was it the “girls-night-in” comfort food of choice? Or was it tweets spurred by the controversial comment made by its chairman a while back? As you can see, understanding the context beyond the data itself is very important. High conversation volume numbers could be positive or negative, and it’s paramount to know exactly which it is and how it can affect your overall messaging. Have a hunch. With the endless amounts of social data we now all have access to, start with a hypothesis, like a true scientist. With #ROASTJOFFREY, we took an essential truth about the show (everyone hates Joffrey) and then went on a data dig to see if it was true. It was, and the rest is history. Marry that hunch with real-world inspiration. If you don’t (or even if you do) have an initial sense of what your brand truths may be, a quick search on how people are already talking about your brand and/or its attributes can bring to life new brand opportunities worth exploring. What hashtags are they using; what misconceptions, misrepresentations or misspellings are surfacing; what are they knocking; what are they celebrating? The answers to these questions are in and of themselves insights. Use them! Do your research: Understand the context behind the data. Correlations and observations may arise in the data, but it is important to always make sure you understand the backstory and what people are actually saying around that topic in relation to your brand. If you’re chiming in on a cultural moment, think like your harshest critic, your most zealous fan, your competitor brand and the person who naturally feels closest to the reference you’re about to make. Make sure it fits. Understand nuances that might be pulled into your brand-led conversation (and worse, taken out of context how they might be misunderstood). We’ve seen this happen before. If you insert your brand into a conversation without understanding your brand’s place within it, then you probably shouldn’t be there in the first place. So, get out there; look around at real, genuine conversations – regardless of where they are occurring – and hypothesize; retrofit findings to test brand applicability; and trust the amalgamation of strategic decisions to guide campaigns. You may be surprised to learn that, in many ways, the guiding forces (people!) behind brand marketing haven’t changed much over the years after all.